Born during a decade of major upheaval with rallies against war, national tragedy, and social turmoil, Lenny Kravitz is a true “Flower Child” rebel. The son of Sy Kravitz and Roxie Roker, the television executive and beloved 70s sitcom star, the life of a rocker was destined for their only child. But long gone are the days of Romeo Blue, Kravitz’s early alter ego, when his label claimed that his music was neither “black enough” nor “white enough” given his half-Jewish, half-Caribbean roots. In the nearly 30 years since his debut, “Let Love Rule”, Lenny Kravitz has become a master of the rock gods. Quintessentially retro, his albums have always contained elements of almost every genre known to music: rock, blues, soul, R&B, funk, jazz, reggae, hard rock, psychedelic, pop, folk, and ballads, not to mention hints of gospel and other sacred expressions. His eleventh studio release, “Raise Vibration”, is no different in the expansive soundscape on which he welcomes us to join him. And true to Flower Child, peace-love-and-happiness, utopian sensibilities, there is a deliberate message-driven theme throughout this project that speaks to the core of his humanity, musician or not. For starters, Lenny Kravitz is aware that most folks, on most days and on some level, are operating in their lower vibration as they move through the demands of life. Or at least we’re coping with the perplexing mundanity that triggers low vibrations all around us. So, on a very basic level, the principles of raising one’s vibration lie in being conscious of thoughts, or exercising mindfulness. Meditation, gratefulness, and acts of kindness also fall in line with raising one’s vibration. And lastly, taking into consideration the things you put into your body and how you treat yourself on a holistic level constitutes whether one’s vibration is lower or higher at any given point. That’s why listening to “Raise Vibration” automatically shifts you into a state of zen and positive perception. The mere title is a directive so that there’s no mistaking the intention of this album, whether from the perspective of the creator or the listener. And, of course, understanding and being deliberate about intention is also a way of doing the work to raise one’s vibration. While the project itself is not a masterclass in doing this sort of work, Lenny Kravitz sets out to add his name among those lightworkers who have drawn a line in the sand. Like them, he demarcates that he is standing on the right side of history. The first two singles, “It’s Enough” and “Low” do just that. “It’s Enough” is a nearly eight minute groovy soul cry against systematic social injustices. It feels like his “What’s Going On / Makes Me Wanna Holler” moment as a songwriter, or at least the intention is there. The follow-up single, “Low”, is extraordinary in several ways. For one, the song features the background vocals of Michael Jackson from a session he and Kravitz did prior to his death. Lenny has recounted in several interviews how seeing Michael with the Jackson Five as a child directly influenced his dreams of becoming an entertainer. Michael wasn’t much older than he was, and the magic of the J5 sparked little Lenny’s dream to be front and center on stage. “Don’t lift me up, to tear me down…” Michael sings before his signature “Woooo!” can be heard throughout the tune. The title also speaks to the theme of raising vibration by addressing those all around with low vibes whose energies are so heavy. Other hits include “Ride”, a beautiful soft rock melody that encompasses the best of a Lenny Kravitz ballad with its heavy bassline reminiscent of another early hit, “It Ain’t Over ‘Til It’s Over”. The opener, “We Can Get It All Together”, and “Who Really Are The Monsters?” are classic Kravitz bangers with hard rock edge, the latter taking vocal elements from the seventies hit “The Ballroom Blitz”. The title track takes listeners on a complete range of vibration-raising sonic planes beginning with a mud-blues appeal that is distilled into a steady funk-rock groove before ending with an epic Indigenous tribal chant. While Lenny put his heart and soul into this collection, not every song resonates in the same way. For example, “Johnny Cash” has a sweet sentiment that is meant to pull at your heartstrings, but sounds like a reimagination of a song already heard on his platinum-certified “5” album. And speaking of five, the song “5 More Days ‘Til Summer” also seems like a miss, given that it’s on a project that’s come out with only five days left in summer. “I’ll Always Be Inside Your Soul” pales in comparison to other compositions given its drum machine loop, which is a little disappointing to hear considering Lenny Kravitz’s preference for live instrumentation. Overall, it’s neither his best nor his worst work. 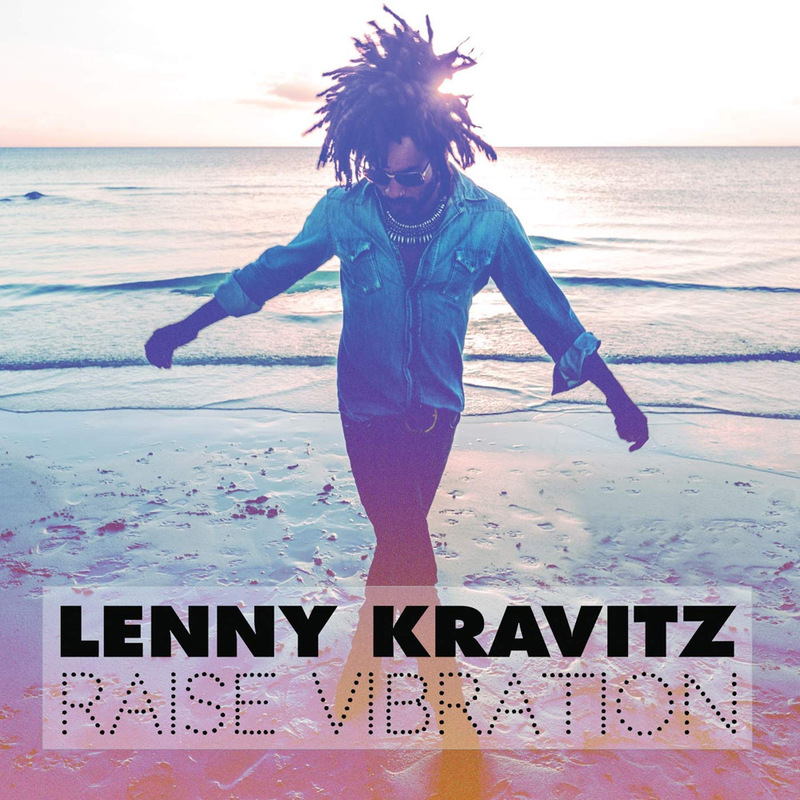 “Raise Vibration” is, however, a solid addition to the canon of Lenny Kravitz albums, and let’s hope that after 30 years, he’s not planning to retire anytime soon.